We're wrapping up the month of May, so it's time for another recap of what I read this month. The pool opened up this past weekend, so I was lucky enough to spend several of Madeleine's nap times in the sun with some good books. I read quite a few books this month, thanks to these tricks for how I find so much time to read. As I mentioned last month, I'm very stingy on my 5-star ratings, and any books with 4 stars I really, really liked! I would also like to mention that I do receive quite a number of books directly from publishers. When I do receive books from publishers, I have chosen the titles o the books I would like to read and review, so they're books that I am genuinely interested in reading! I always give my honest feedback on a book, even if I've gotten it directly from the publisher, so don't ever think I'm fluffing up my ratings to try to help the publisher out. I also often start books that I just can't even get through, and you will never hear about those. Just wanted to give you a heads up so you don't gloss over the books that I received from the publishers, because I really did want to read them and many of them are very good! 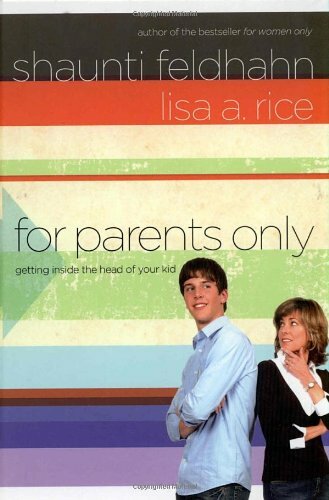 For Parents Only: Getting Inside the Head of Your Kid // Our small group at church has been working through this book for the past couple of months, and we just finished it up this month. The entire book is based on the results of nationwide surveys and interviews with pre-teens and teens in order to help parents "get" their kids. We are obviously years away from raising a pre-teen, but if you have kids this age I would say it's worth picking up and flipping through. I didn't find anything particularly earth-shattering in the book, but there were definitely some helpful points and things to think about. 3 stars. This Too Shall Pass // I admit that I picked up this book for the cover alone. And I should have known better. The publisher provided me with an early copy of this book, and I did not like it one bit. I would have quit reading it, but I'm not a quitter and it was super short, so I powered through. The book starts off with the protagonist talking to her dead mother, and that continues throughout the book, but the other half of the book is about a trip that the main character and her friends take to the coast. Too many characters were introduced without any further development of them, and I found the protagonist extremely unlikable. Admire the cute cover, but don't bother picking this one up. 1 star. 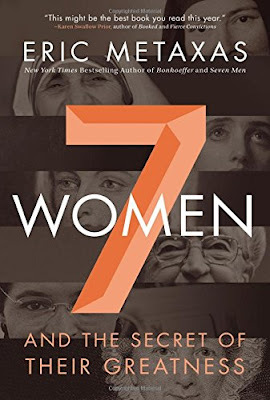 Seven Women: And the Secret of Their Greatness // I picked this up because I had heard great things about its counterpart Seven Men: And the Secret of Their Greatness. I enjoy reading biographies, but unless I'm really, really interested in the person, I get a little bored with all of the details biographies tend to have. This book is perfect for you if you feel the same way! The author does a really good job of highlighting the lives of each of these seven women. I thought there was just enough information in each chapter to teach me a little more than I learned in school without feeling bogged down by the details. My favorite chapters were the ones on Joan of Arc, Rosa Parks, and Mother Teresa. 4 stars. 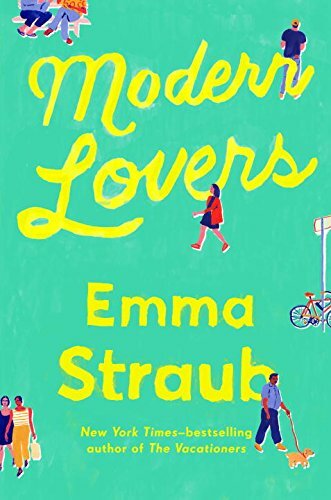 Modern Lovers // This book just came out today! I was able to read an advanced copy of this book through Edelweiss. This book is about two families living in Brooklyn who are very close friends. I wouldn't say anything in the plot is particularly noteworthy: there are marriage difficulties, a midlife crisis, teenagers who sneak around, etc. The thing I enjoyed in reading this book was the change in perspective, from each of the adults to the two teenagers. I thought it gave the book really good pacing, so it was an easy read. It's a perfectly enjoyable and fun book to read. If you enjoyed The Vacationers, one of Emma Straub's other books, then you will enjoy this book as well. It's a good, easy beach read. 3 stars. American Housewife // This is a collection of short stories, something that I don't normally read, but I was intrigued by the cover and because, well, I'm a housewife. I was expecting these to be really funny, but it was a different type of humor than I had anticipated. I thought the first story was the funniest, to be honest, and some of the others were actually pretty strange. Some of the stories are really short, and in whole the entire collection is pretty short as well. 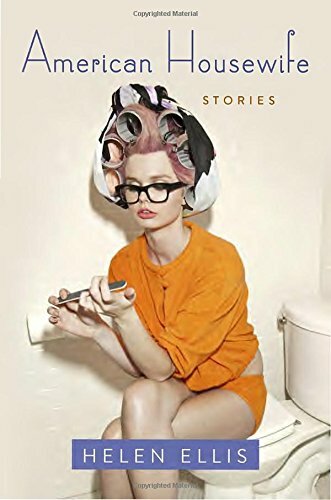 It was an easy read, and though I was a little disappointed in the lack of laugh-out-loud humor, I did enjoy reading several of the stories. 2 stars. Behave // The publisher provided me with a copy of this book in exchange for an honest review, so here goes: I thought this book was going to be a fun novel about motherhood, raising kids, etc. I should have done a little bit more research before I decided to read this book (second book cover I've been fooled by this month). This is a novel based on the lives of Rosalie Rayner and her husband John B. Watson, who were famous psychologists from the 20th century. I thought the story was depressing and actually a little disturbing. At times I found bits of the story compelling, but mostly I disliked all of the characters and was eager to finish the book. I definitely could have done without reading this one! 1 star. Traces of Guilt // I received this book from the publisher in exchange for my review. I have read most of Dee Henderson's books, and I always love them! This book is suspenseful, but not so dark and creepy that I didn't enjoy reading it. The writing is really good, and I really enjoyed each of the characters and how she developed them throughout the story. 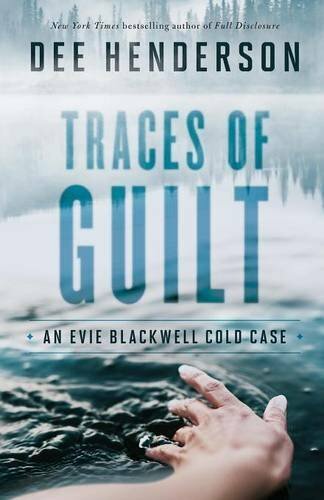 The story is about a detective working to solve two cold cases, and there are lots of details about both cases and her strategies in trying to crack them. The story unfolded in ways that I didn't anticipate, and I didn't want to put it down! I really enjoyed it. 4 stars. 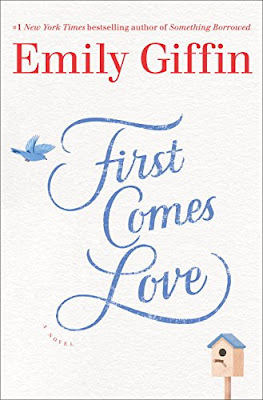 First Comes Love // The published provided me an early copy of this book, and I was so glad because I love all of Emily Giffin's books! 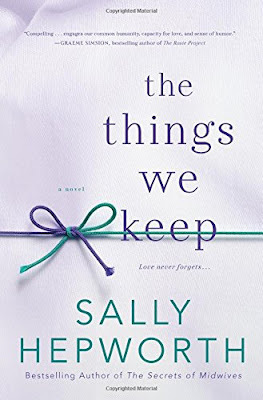 Her books are the type of "chick-lit" that I like; they're fun and easy to read, but they're not mind-numbing like other chick-lit that's out there. This story is about two sisters who have a very rocky relationship, mostly due to differences in their personalities and their grieving experiences after losing their older brother. 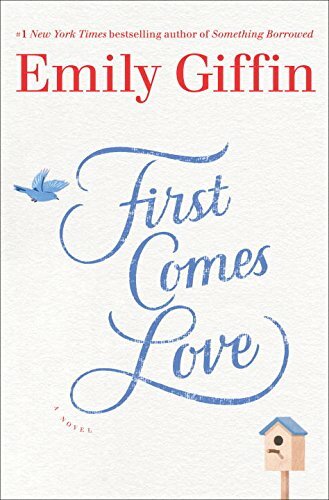 I really appreciate that all of Emily Giffin's plots are so very different, yet all enjoyable. I think The One & Only is still my favorite of her books, but this was a great one, too! This book comes out on June 28, but go ahead and pre-order it here! 4 stars. 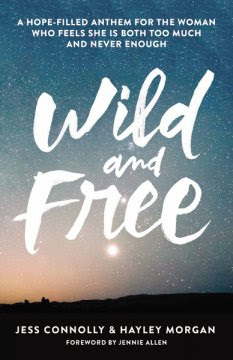 Wild and Free // This book was popping up everywhere on social media, so when the publisher sent me a copy through BookLook Bloggers, I was happy to get my hands on a copy! As the back of the book says, the authors hope is that women will live with "freedom from the cultural captivity that holds us back, and freedom to step into the wild and holy call of God in our lives". My favorite chapters of the book were the two chapters that described exactly what the authors are picturing when they talk about a wild and free woman. I ended up enjoying this book more than I was anticipating! Sometimes I'm a little wary of Christian living books that are targeted for women, because they end up being a little too flowery and touchy-feely for my taste. I will admit that the first couple of chapters I was nervous this book was heading that same direction, but once I got a little further into the book, I enjoyed it. There is a good blend of personal stories and also a lot of Scripture, which I really appreciated. Even though it's written by two different authors, I found that the book read pretty seamlessly. 4 stars. 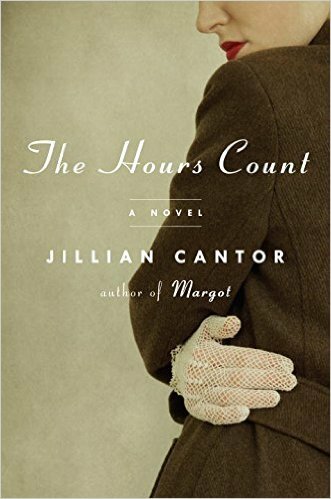 The Hours Count // This was my book club's selection for May. 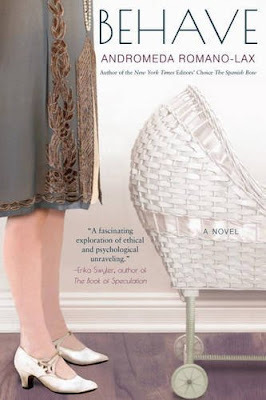 We had to postpone our book club dinner, so I'm not sure what everyone else's take on the book was, but I enjoyed it! 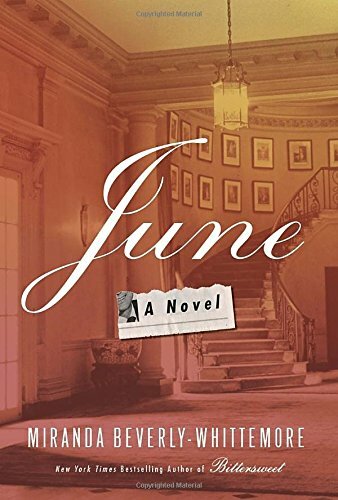 This is a historical novel about a woman who becomes friends with Ethel and Julius Rosenberg, American citizens who were convicted and executed for conspiracy to commit espionage during the Cold War. Like all historical novels, the author takes a lot of liberty in developing the fictional characters and the story around what are known as some true historical facts. I knew nothing about the Rosenbergs, so I found the story really engaging and interesting. I also really enjoyed reading the author's note in the back of the book, which detailed the fact surrounding these events. It was an enjoyable read! 4 stars. A Fine Imitation // I had seen this book around and liked the cover, but then The Skimm gave a brief summary of it in the Skimm Reads section, finishing with "if you love 'The Great Gatsby,' this is your read." SOLD. Thankfully I was able to get a copy from the publisher through Blogging for Books, and I absolutely loved it! It's a debut novel, and I really hope Amber Brock is planning to write more books! It does feel similar to The Great Gatsby in that the story is set in the 1920s featuring the socialite lives of New York City. 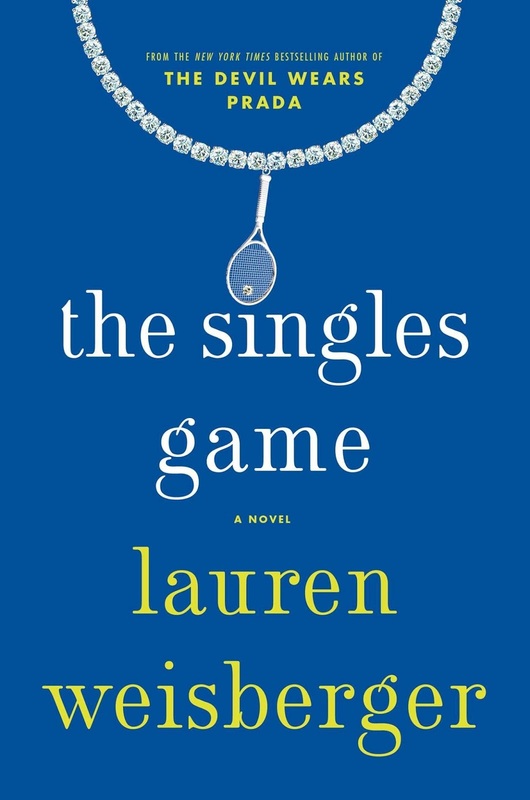 The protagonist is the social queen of her building and is utterly unhappy in her marriage. She starts to question her choices in life when an artist arrives to paint a mural in the building. I really enjoyed the story and thought the writing was excellent. 4 stars. June: A Novel // This book just came out today, but I was able to read an early copy from the publisher. I really enjoyed this book! The book shifts between the past and present, giving the story of a family and its secrets over the decades. I enjoyed reading both accounts, which doesn't always happen for me when a storyline makes that shift throughout the book. The plot had several twists that I didn't expect, which I always enjoy! I thought this was a really good read, and I was very interested to find out what happened! This would be a great book to take on vacation this summer. 4 stars. 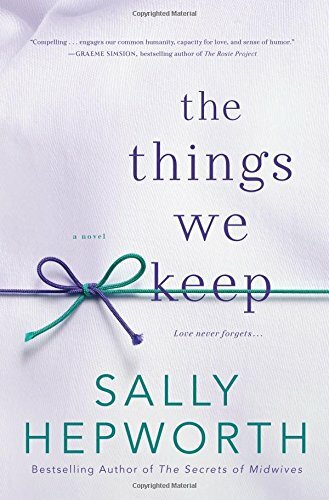 The Things We Keep // This is a story about a woman who, at the age of 38, moves into an assisted living facility because she has early onset dementia. 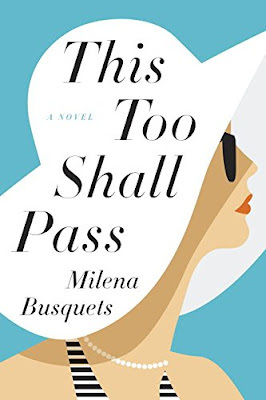 The book shifts from her point of view and her struggle with losing her memory to the point of view of the newly hired cook at the facility who is recently widowed. I love the title of this book, and I thought the premise was a really different idea for a book, but something about the story just fell a little flat for me. It was a perfectly enjoyable book to read, but just not as good as I hoped it would be. 3 stars. 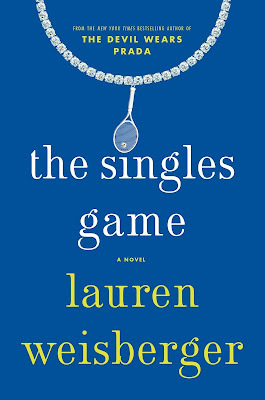 The Singles Game // I've read all of Lauren Weisberger's books (probably most known for The Devil Wears Prada), and I think this is one of her best! Charlotte Silver is a top-ranking tennis player who, after suffering an injury she blames on her coach, switches coaches and starts making headlines around the world. The book gives a lot of detail on tennis and the rigorous schedule, rules, etc. of pro tennis, which I found really interesting! It was a quick read and really entertaining. This would be a great beach read this summer! It comes out in July, but you can pre-order it here! 4 stars. 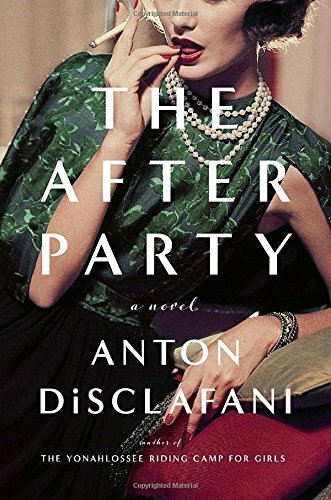 The After Party // This is the story of socialites in Texas in the 1950s. There's one queen bee, Joan Fortier, who is the center of it all. The story is told from Cece's point of view, who is utterly devoted to Joan despite the way Joan treats Cece. 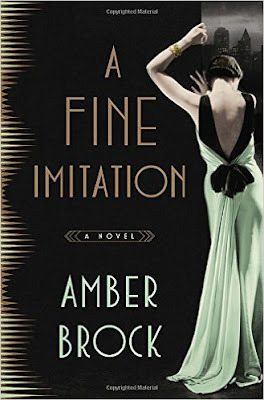 The book was entertaining and had a surprising twist near the end, but if you're looking for a story about a bunch of women dressing to the nines, going to parties, and gossiping about secrets, I enjoyed A Fine Imitation a little more. 3 stars. There you have it - the books I read in May! Tell me, what have you been reading lately? The books linked in this post are affiliate links, meaning that if you click the linked books and order any of them through Amazon, I may earn a small commission. Thanks for helping support this blog (and my book habit)! I need to read a fine imitation - I saw that Jasmine Star read it too. 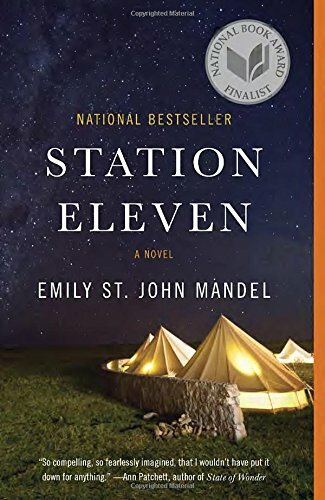 Wild and Free looks good too, and I hadn't heard of Station Eleven, but it sounds like something I'd like! I am so impressed with the amount of books you can read! I read 3 books in May, which is a lot for me, and felt like I was neglecting everything in life because I wanted to read. I can't wait for the summer so I have more time. A few of these look good, so when I'm at the library I'll check back to your entry to get the title again.